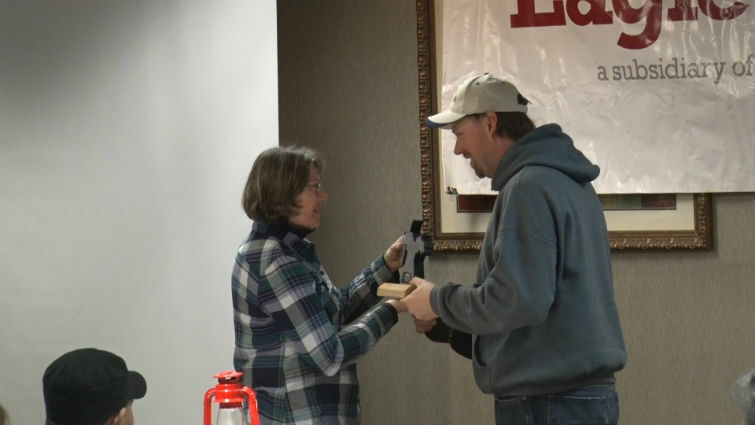 MARQUETTE– Monday morning the UP200 winners were honored at the Holiday Inn. Racers gathered around 8 a.m. to not only receive awards but share memories from the race and years past. Awards were given out to the top 9 finishers, including votes from Mushers of best Sportsmanship award, and dog care award. UP200 Board Member Ross Anthony coordinates the Start and Finish of the race. Anthony said although many people gather for the starting point in downtown Marquette, some parts of the race aren’t as talked about. The UP200 Board said the sled dogs had no issues in the abnormal heat and train for weather up to 50 degrees.